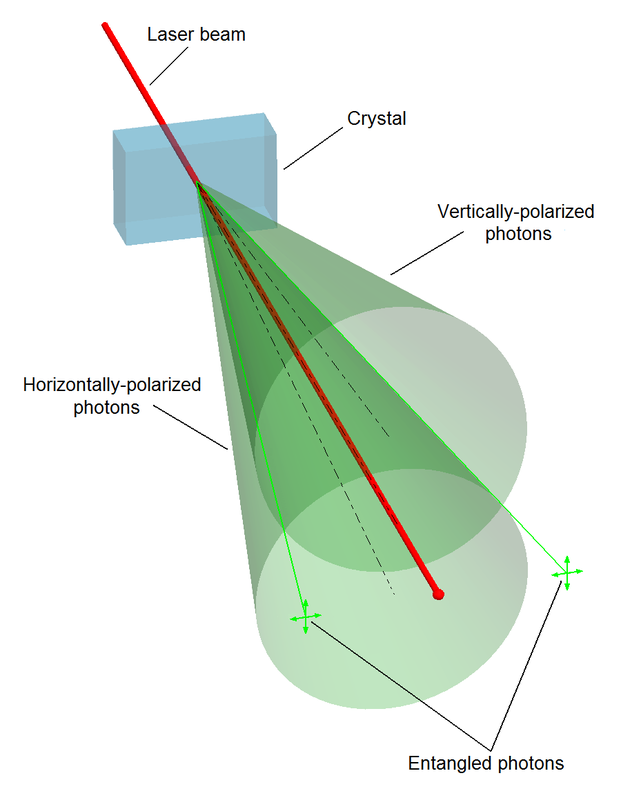 Quantum entanglement is a physical phenomenon that occurs when pairs or groups of particles are generated or interact in ways such that the quantum state of each particle cannot be described independently of the others, even when the particles are separated by a large distance – instead, a quantum state must be described for the system as a whole. To which system, A or B, or perhaps both? So we are supposed to guess what the difference is?